How Important is Communication During Construction? It's not easy being a home builder in this day and age. But you're a fighter. You've done your due diligence. Your vision is on point, and the future is strong, bright, and sustainable. You've done the SWOT analysis to measure the health of the business. You're well aware of factors such as increasing entitlement costs, extended cycle times, skilled labor shortage, affordability, price ceilings, controlling costs, and on and on. When you step back and look at the business you feel pretty good. Sales remain consistent. Pricing has provided downside protection against costs. You're learning to appreciate trade partners in more creative ways. Even your Realtor relations have found a nice balance of mutual respect for each other's business. What could you possibly be doing wrong? This is exactly what Zillow did. 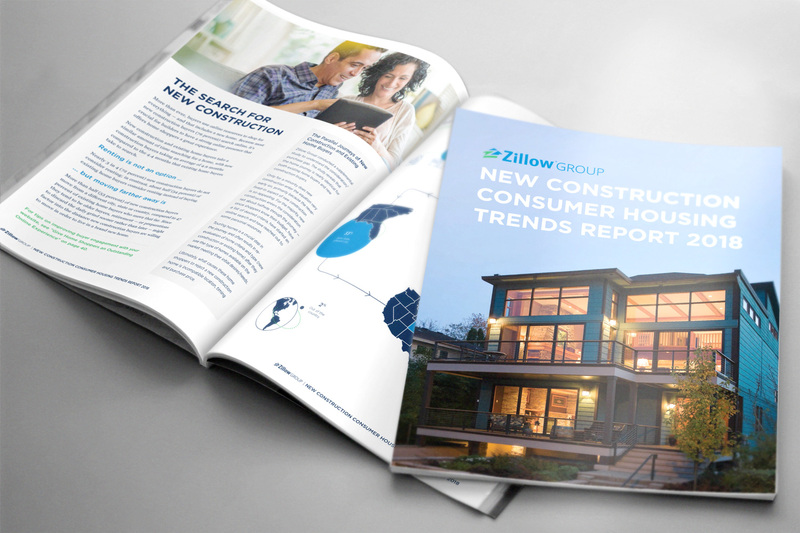 In a recent report: New Construction Consumer Housing Trends Report 2018, Zillow interviewed over 500 active home buyers on satisfaction with new home builders. This survey provided a look inside the mind of the new home buyer and what challenged them during their experience building a new home. And we weren't surprised to see the Zillow findings fall in line with our own research on customer experience. The home buyers and homeowners who participated in the Zillow survey were loud and clear. They want to have a better relationship with their builder. And what is the cornerstone of any great relationship? Just ask your spouse. It's good communication. Participants expressed frustration around the lack of communication during construction. In fact, this was the number one complaint in all surveys on this subject. "When there was construction activity, we seemed to hear from our builder, but when construction activity seemed to slow, updates were few and far between," one buyer shared with us. "We were forced to constantly call or visit the builder rep for updates." It's not so much about the weekly email you send to your buyers. It is all about the content and the information (or lack thereof) you are passing along that will either excite or disappoint your home buyer. 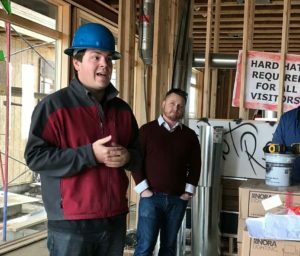 As I interviewed builders for this article I had an interesting conversation with Liz, the VP of Marketing for a Colorado builder. She works for a medium size builder delivering 225 homes a year. I started by asking Liz how communication (during construction) has affected her buyers' experiences. She said, "It directly affects them. Buyers with low customer satisfaction scores almost always mention how bad communication is. And vice versa." Then she quickly shifted the conversation to their challenges of cycle times, education and training, internal culture, marketing messaging, etc. I then asked, "So where would you say the customer experience fits into your priorities?" Liz said, "I really don't want to pull back that curtain. I mean...if it ain't broke, why fix it?" So I said, "If you wait until it's broken, the damage is already done. And by then the customer has already blasted you on social media." After a bit of silence, she conceded that the buyer experience has been ignored because of more pressing issues and a forgiving market. But this old-school thinking doesn't have to be the mantra. The customer experience matters now more than ever for home builders. Now is the time to reshape our view of listening to the customer, while the market is more forgiving. Here is a common scene: your sales team announces a newly-signed purchase agreement and everyone celebrates during the sales rally. You get through the permit stage and you start moving dirt - another reason to celebrate. Your new buyer signs off on the final selections along with their loan approval is in place - cause for more celebration. We get through construction and have a closing - another exciting moment of truth for the builder. All key milestones. For the builder. Who is tracking the key milestones for your customer? How are you celebrating their moments of truth? Do you even know what they are? (Pro-tip: journey-mapping is a great way to discover them if you're unsure.) It's crazy to think that most builders don't even show up for their customer's biggest moment, the presentation of their keys at closing! How many missed opportunities do you think there are to impress your customers during the year-long relationship you have with them? There are lots of them during the period of time the home is being built. And this is a time when buyers need it most - when they're most likely to experience buyers' remorse. Do you see your customer as a potential ambassador for your company? There is no louder marketing voice than an excited customer. Sara Lambert wrote on this subject recently in her article Raving Fans Make for Great Home Builder Reviews. Consistent communication full of content and education is what our buyers want. Most buyers want to feel like part of the building process and have a better relationship with their builder. So how do we accomplish this? As builders, we have complete control of establishing the right expectation with our customers on the building process and communication. If you don't address it early, your customer will have their own interpretation of what good communication looks like. This could set you up to fail. You'll find 90% of the time you fall short of your customers version of good communication. Instead, have a detailed conversation about it when they sign their purchase agreement. What to expect, what not to expect, be specific. As someone that spent 30 years on the sales and marketing side, believe me when I say that these conversations are not common. Ask your customer what is the best way to communicate with them. You also should ask who is the best person to communicate with. Be proactive and establish the proper expectation on communication. When in doubt, over-communicate. Good communication involves both listening and speaking skills. 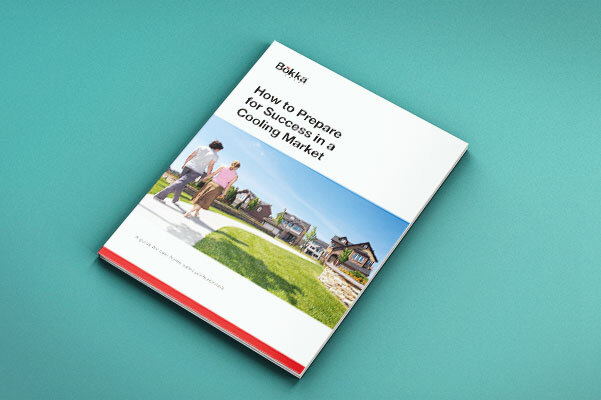 Helping buyers understand what it takes to build a home efficiently and succinctly can be a challenge. And the challenge can vary greatly according to the size of builder. It appears to be much easier to keep customers happy and updated on the progress of their home for smaller builders. Weekly phone calls seem to be the norm with this type of builder. Execution is time-consuming, but with a good process in place it can be manageable with the resources you already have. As volume increases, builders are challenged to scale their communication, and platform. While the intent is still there to communicate with buyers on a timely basis, delivering consistent, meaningful communication takes a focused effort and costly resources. It can be done, it takes a commitment, but the communication can easily lose its consistency. Most builders I know put this responsibility on the sales team (and in some cases the field supers), but without some sort of construction update software, it takes valuable time away from their other responsibilities. For the top builders, communication takes significant investment, effort and discipline to deliver a great experience. Many have custom solutions, or rely on construction management software to provide updates. This can be good and bad. If schedules are always on track and accurate, the software can be fantastic. But we all know that when building homes, s*** happens. A lot. And there's nothing worse than when a buyer logs into their portal to see the move-in date is not the one for which they scheduled the movers. When communicating with your buyers, regardless of your size, your customers simply want to know and understand what's happening with their home. When they drive by and see no progress on site for 3 weeks in a row, they have no way of knowing if it's all part of the plan or if something has gone terribly wrong. So they think the worst and start to question the updates they might be receiving. Or they sneak onto the site. Or both. Instead, treat this as an opportunity to share your expertise and knowledge about how a home comes together and why you use the materials you do. Embrace the role of being the building expert and let them know you're on top of things. It will give them the 2 things they need most at this point in their experience: joy and confidence. Inconsistent or lack of execution on an established process. When we get in front of the message, we control the delivery of the message. When customers come to us about things they see happening in their home, we go into defensive mode trying to respond to their concern. Your customer has already developed an opinion on what they see and it could be difficult to turn that opinion around. When you deliver consistent, valuable information, proactively, complete with pictures and sprinkle in some education, your home buyer's anxiety will dissipate. In the process you are creating a strong ambassador for your company. This will translate to stronger reviews and increased referral rates. The simple fact of including the Realtor on your regular communication with the home buyer will gain you tremendous credibility with the Realtor community. When you set your Realtor partners up for success, you will find you have created an ambassador for your company with strong influence over future buyers. Include your Realtors and they will include you. There are plenty of technology solutions that include features to improve communication with your home buyer during construction. Most of them are complex platforms that integrate with construction scheduling software, for better or worse. Lots of builders use them but they are very cumbersome to update and seldom user-friendly. And the buyer communication is often an afterthought, with poor execution. IRIO - A text messaging platform providing a tool to communicate with your home buyer through text messaging. 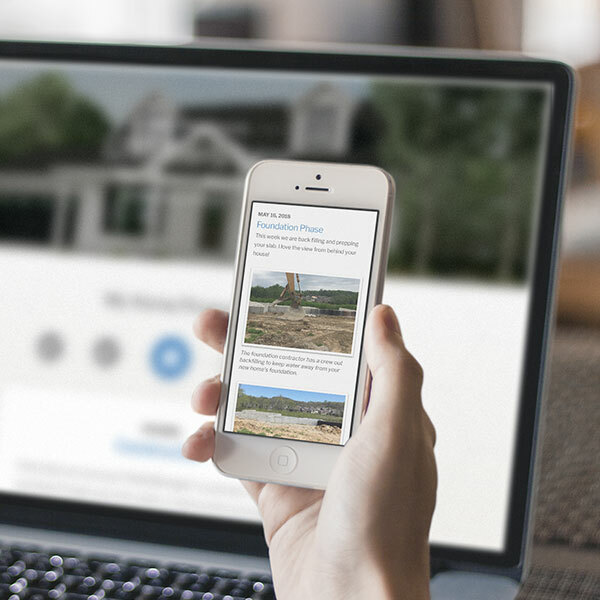 BombBomb - a program helping you send video emails for your home buyers and prospects. Builder Signal - by Bokka Group, provides a pictorial journey of the building process complete with comments, understanding building phases, activity and a personal home buyer website with social media sharing capabilities. These are just a few of several on the market to help with your customer experience during construction of their home. If improving communication is on your radar and you want to deliver what your customers clearly are asking for, check them out to see if they fit with your process. If you'd like advice on using any of them, or would like other ideas for improving your customer experience - just reach out. We'd love to hear from you. Get the guide that helps you get back to the fundamentals, and break the bad habits that lead to poor sales.